A mother grieving over the tragic loss of her daughter who was born sleeping at 40 weeks and 6 days on September 11, 2015 has bravely posted her story and beautiful – though confronting to some – photos on social media, in an effort to share an important message for all parents to keep in mind. Natalie Morgan’s heart-wrenching photos and words have received 23,589 shares via Facebook (update: now more than 55,500). “There seem to be so many friends of mine and Brian that have either recently had babies, are soon to have babies, or will probably be expecting babies in the future. The post details how the events unfolded and words so touching that most readers have been brought to tears. …”I keep having flashbacks to that moment. It's a crippling, all-consuming feeling of utter suffocation, and a memory that will haunt me for the rest of my life. In that moment, I felt trapped as if the ceiling was literally crashing down on top of me. I couldn't breathe, lashed out, I screamed, I threw things, I threw up...and then a piece of me died with her. I was helpless to change anything. My body was supposed to keep her safe, and instead it killed her. I was 40w6d. 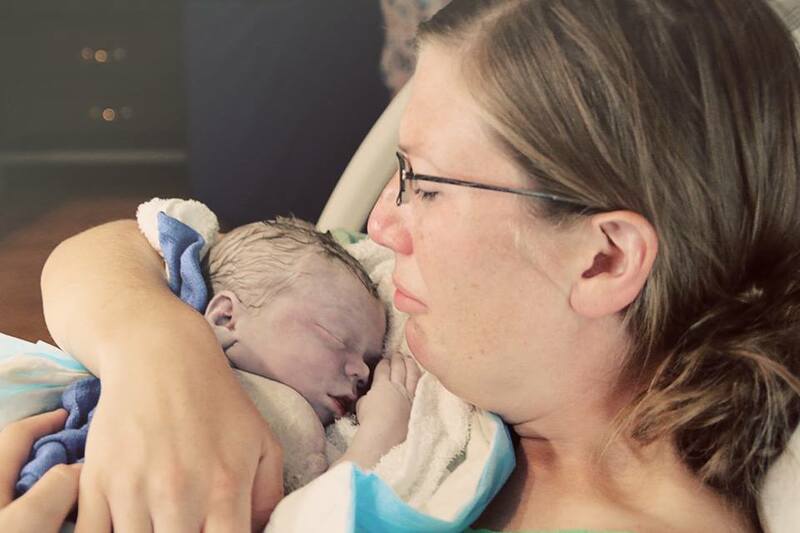 "A couple of hours later, I was induced. They offered me an epidural, but I couldn't do it. I needed to own it. I needed the pain, the agony, and misery to mirror what I felt in my heart. It was the hardest thing I've ever done. Ever. Dealing with the unbearable contractions, the ring of fire, the tearing...knowing that all of it was for nothing. I was delivering a lifeless child. There would be no happiness at the end of it to help me forget the pain. The pain, unlike my baby girl, would live on forever. 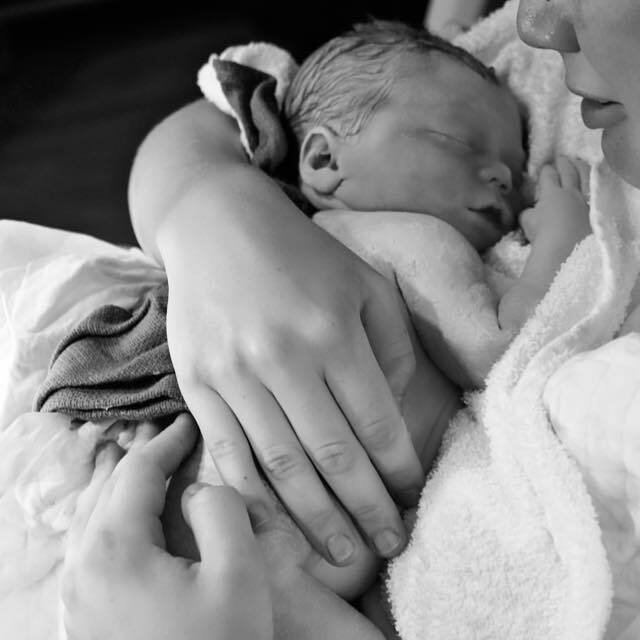 "Then finally, after those hellish hours of labor, she was placed on my chest - gorgeous, but lifeless. There was no reason to expect that first little cry from her. Instead, it was me who sobbed. I begged her through my tears to wake up: "Please wake up, baby girl...please, wake up. Why won't you cry for mommy? Please, please, please....just wake up." 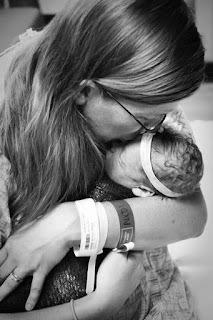 Natalie Morgan shared this image of her baby girl, with the caption: "I love her. I love her so much. We said goodbye for the last time yesterday, and then I had to leave her again. None of this is fair. My beautiful daughter should be here with me. I kept telling her to wake up. "Please wake up, baby girl...please wake up..."
More than $8000 has been raised by 181 people in 9 days so far. The funds will assist the family in medical and hospital expenses. Natalie took to Facebook in recent hours to express her gratitude for the support she has received so far. “I am so overwhelmed with the thoughts, prayers, and messages of support I have received since sharing Eleanor's story yesterday. I never imagined it would spread as far as it did. So far, the story has been shared over 8,200 times and counting in the last 24 hours (it was only 6,500 two hours ago!) I have received hundreds of comments and private messages from parents - almost all entirely strangers! - All of them offered their condolences; many let me know that they having a rough night with their infant, but Eleanor's story gave them the strength to preserve through the incessant crying and frustrations that come with a new baby. My heart goes out to Natalie and Brian, and other families who have experienced such a tragic loss.